LG is gearing up to release its next flagship smartphone and once again it aims to impress us on that rumoured 26 February reveal date. Now the phone has leaked. The clear image of the G6 appears to be a press shot which has been attained by The Verge. Recently a similar leak from LG Display also showed off a phone with very minimal bezel. This confirmed the handset would be a 5.7-inch device. The photo shows off an all metal unibody design with antennae lines similar to the iPhone. The top bezel, despite being small, crams in a front facing camera, sensors and ear speaker while volume rockers sit along the side edge. The LG G6 will reportedly come with an impressive screen-to-bezel ratio greater than 90 percent. That appears to mainly be top bezel with very little on the sides. That screen is also a rather unique 2:1 ratio which should be great for movie-like immersion in videos. 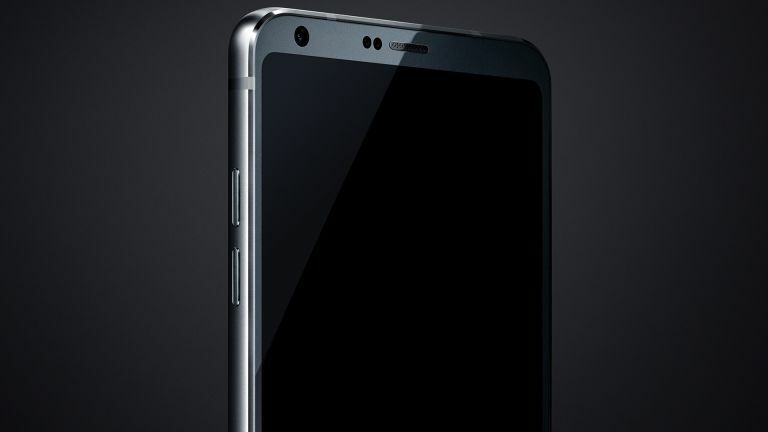 The LG G6 is also rumoured to be waterproof, feature a dual rear camera, non-removable battery and a rear fingerprint sensor. LG is expected to reveal the G6 flagship smartphone at the Mobile World Congress trade show on 28 February.